Yesterday the Cincinnati Reds traded Jay Bruce to the Mets. I’m sure that if you are reading this article that you are already knew that. The organization landed infielder Dilson Herrera and left handed pitcher Max Wotell in return for Bruce. 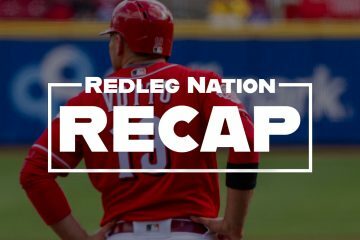 Nick Kirby wrote some about that yesterday here at Redleg Nation. I wrote about the two guys as well some at my site when the trade went down. Today, I wanted to dive in a little deeper on Wotell. The left hander was selected in the 3rd round of the Major League Baseball draft out of North Carolina. He had committed to Arizona but he signed with the Mets for $775,000 and gave up the chance to play for the Wildcats. Entering the draft he was rated as the #144 prospect by Baseball America, but he would go 88th overall in the draft. After he was drafted he was sent to pitch for the Gulf Coast League Mets. He pitched strictly out of the bullpen in his first pro season and only went over 2.0 innings one time. The lefty struggled with his control in his debut season, walking nine batters in 10.2 innings. He did however strikeout 16 batters and allowed just two hits. The control problems may have been related to his mechanics, which are a bit unorthodox. This season his control has improved. In 29.2 innings pitched with short-season Kingsport he’s made six starts and walked 12 batters. He’s mixed in 31 strikeouts along the way and given up just one home run on the season. Not every start has gone smoothly for the now 19-year-old left hander. In his first start of the year he walked four batters in 4.1 innings. Over his next three starts and 17.1 innings he walked just three batters. Then on July 22nd he ran into some control problems again, walking four batters in 3.0 innings. He would rebound well in his most recent start, giving up just one free pass in 5.0 innings. Eight of his 12 walks on the year have come in two games. In the other four starts he’s walked four total hitters. Fastball | The pitch works int he 89-92 MPH range and touches a tad higher on occasion. Slider | His slider is his best offering and it’s an above-average offering that flashes itself better than that at times. Change Up | It’s a clear third offering at this point in time, but it’s already improved since the time he was in high school. It could be an average pitch in the future if it continues to develop. 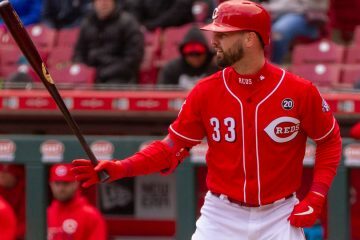 Other | Wotell has rather unorthodox mechanics and you can see them in action in a video from Fangraphs that was from his high school days. It’s not just the arm action though, watch what he does with his back leg in his wind up. I’ve watched a lot of baseball in my time and I don’t recall ever seeing another player do that. You can get a good feeling for his slider in the video and the mechanics are certainly interesting to see. He’s got a legitimate arm and there could be more in the tank velocity wise to tap into. He will need to continue to work on repeating his delivery, which will help him with his control issues that pop up every so often. Saw a video of him. Weirdest windup I’ve ever seen. It is weird, and I wonder whether–with the strain on the knees that it would seem to cause–he might prove fragile. Why would that create more strain on his knee? His windup basically screams for a pitching coach to make him pitch out of the stretch 100% of the time. Agree about the back leg, Doug, but actually his mechanics aren’t that bizarre. There’s a little hitch in the front leg during the delivery, and the arm angle is a little low. But once he actually sets the back leg on the rubber it’s not that odd. Pitching can be a little like golf. There are many ways to get to the ball, and some look very odd (Jim Furyk and Ryan Moore for example) but at impact there is very little difference from golfer to golfer at the highest level. This looks similar to me. Most of the unorthodoxy happens before he starts to the plate. So long as what happens from there to the release point is repeatable I’m fine that the pre-shot routine as it were is a little unusual and therefore makes the whole a little deceptive. I don’t love the 92-93 fastball but between the deception and the fact that he’s only 19 and may get stronger there is potential there. And at rookie ball that’s about all you can ask for. +1. Same with hitters—you’re ‘style’ is what it is, but what ALL hitters look like when their stride foot lands is exactly the same. I see a little Chris Sale in the gathering phase, but something completely different with the arm action. If you’re going to make a golf analogy, it reminds me of the Happy Gilmore. The back leg thing certainly starts it all. But he’s also got some wrist wrapping going on, and his arm angle is low-ish. And his arm action, while not bad, isn’t what I’d call prototypical. Mix it all together and he’s a different cat. Nothing wrong with that, though. At 90-93, from the left side – that’ll play. Looks like a solid LOOGEY. No way this guy is a starter, but that is fine by me as LOOGEYs cost 5-6 million on the open market and usually are a crap shoot. It’s not Dontrelle Willis or Hideo Nomo, but yeah, it’s got some funkiness to it. Maybe a pitching coach will demand he smooth it out to create a more repeatable delivery. I recall Tom Seaver repeatedly saying that if a guy wanted to pitch successfully over an extended period in MLB, he’d better master pitching with his legs and “bucket”, as TS called it, and letting the arm action being driven by the lower body. At this point, I don’t see much of that in Wotell. So, i guess i agree with the comments above that his ceiling is probably as a reliever, and quite possibly as a lefty on lefty specialist. Strangest delivery I’ve ever seen, but it looks like something that could be easily fixed. Wonder what the Mets have done to work on fixing it? It’s definitely odd. The footwork is the most obvious, but seems harmless. Also the glove-arm is bent at a funny angle, which really obscures the release point. The hitch is the strangest thing, and the only one that I could see causing problems long-term. 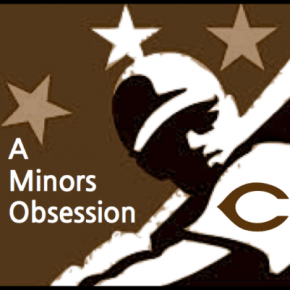 Many (smart) teams will leave a minor leaguer’s mechanics alone, at least until he struggles. Why fix something that’s working? Interesting… not sure I would use the word “fix” rather than smooth out, but, then again, how many people would be saying a guy named Cueto needed to be “fixed” had he done that “hook” and “hitch” when he first signed. As a hitter, that would mess with my timing until I adjusted, which might take the 3rd or 4th time through. So…. maybe relief pitcher is where he ends up. Of course, I’m a firm believer in making everyone a starter until they pitch themselves into a relief role. I have to wonder how much of his success in high school was the stuff versus messing with the hitter’s timing. Guys like Kershaw and Cueto do that timing thing to perfection to throw hitters off so I won’t be too critical here. I am more concerned that it might be messing with his control as much as the hitter’s timing. If you watch that small sample size, he rarely hits the catcher’s target so control, at least in this video, seems pretty much non existent. That film surprises me based on everything I read. I wonder more what the Mets have done to help him with his control. Good to see his control improving, which is normally the problem with young pitchers. I love guys with a little hitch in their style, e.g. Luis Tiant, Kent Tekulve, Cueto, and even old Wayne Granger for you older fans like me. Really messes with most hitters. Hard to project a 19 year old kid as far as where he’ll end up. But you’ve got to like his upside being long and left-handed. If he can consistently throw strikes with that wind up and delivery especially as a reliever, it could really be tough on batters who’ve been facing a smoother delivery from the starter. If the batters only see him once or twice a game, that hitch could make him tough to hit off of. . . IF he throws strikes consistently. Seems to me with the back foot moving almost at the same time he’s coming set, he’s going to be balk prone. If nothing else, if he’s a touch fast or slow on either arm or leg end, it’s going to screw with his control. Doug, I read your article over at your site and have a question about Dilson Herrera. Do you have any info about why his 2016 offensive numbers at AAA have dropped off considerably from his 2015 numbers ?